Make estimated tax payments to avoid having a tax liability when you file your tax return. Having your quarterly estimated tax payments automatically deducted from your account can save you from an Internal Revenue Service tax underpayment penalty. This penalty applies if you owe $1,000 or more in taxes and file as a sole proprietor, a self-employed individual, a partner or an "S" corporation shareholder. If your "C" corporation expects to owe $500 or more in taxes, the IRS mandates that you, too, make estimated tax payments. You can set up your deduction through your bank or use the U.S. Department of the Treasury’s electronic payment program. The U.S. Department of the Treasury developed the Electronic Federal Tax Payment System so that you can pay your estimated taxes online. The service is free, and you can enroll on the EFTPS website. You need your Social Security number, contact information, bank routing number and bank account number to complete the enrollment. Once the IRS confirms your information, they will send you your personal identification number, or PIN, so that you can make your estimated payments through your EFTPS account. To pay your estimated taxes through your bank, your personal or business checking account must be set up for electronic banking. You can have your quarterly estimated taxes deducted from your account as a debit or credit. With the debit option, you instruct the Treasury Department’s Financial Agent to deduct your estimated payment directly from your account and send it to the Treasury Department. With the credit option, you instruct your bank to send your estimated payment to the Treasury Department’s Financial Agent, who then forwards it to the Treasury Department. 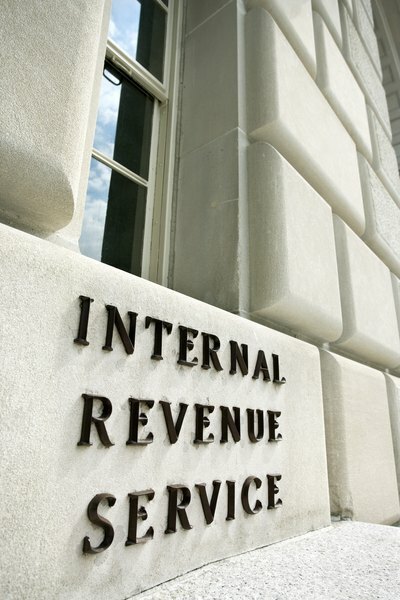 You can use IRS Form 1040-ES, Estimated Tax for Individuals, to compute your estimated tax deduction. You will need information from your prior year’s income tax return, including your adjusted gross income and the tax credits you took. You must estimate your income and self-employment profits for the current tax year. A worksheet is included with Form 1040-ES to walk you through each step. You divide your total estimated tax by four to determine how much estimated tax is deducted each quarter. Use IRS Form 1120-W, Estimated Tax for Corporations, to calculate your "C" or "S" estimated corporation tax deduction amount. You can set up your estimated payments through your EFTPS account or let your financial institution set it up. To use the EFTPS, log into your account, select the quarterly payment option, select estimated tax as the type of tax and enter the payment amount. Quarterly payments are due on April 15, June 15, Sept. 15 and Jan. 15 of the following year (this final payment covers the last few months of the previous year). The Department of the Treasury initiates the payment and electronically withdraws it from your account. You will receive an acknowledgement number once your payment goes through. If the deduction is initiated through your bank account, your financial institution may charge you fees for this service. Can a Tax Refund Be Wire-Transferred?